FruttaWeb: Blueberries at your home with one click! The blueberry is suitable for all forms of intestinal disorders, liver disorders, bleeding tendency for fragility of the capillaries, general circulation disorders and for the visually impaired. The hydrocinnamic acid present in cranberries is very important for our body, as it is able to neutralize the carcinogenic substance produced in the digestive tract. The consumption of foods rich in antioxidants, see the blueberry, assumes a very important role with regard to the health of our body; these substances, in fact, develop a protective shield against our skin and especially in the fight against free radicals. 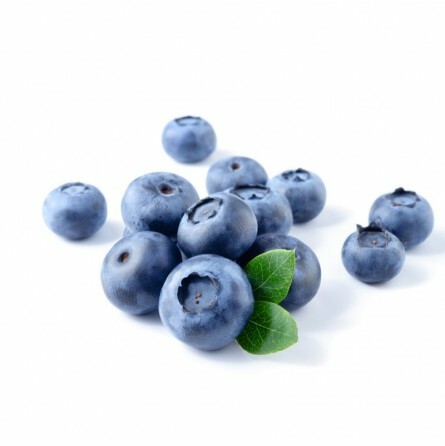 In addition to their antioxidant power, blueberries, are also used for other therapeutic properties, they are in fact able to treat eye fatigue and fragility of the capillaries. The anthocyanins' act on the heart is able to increase the strength of the same muscle; thanks to its antiseptic and anti-inflammatory effect, bilberries reduce flatulence and diarrhea fights. In ophthalmology, the consumption of blueberries promotes the production of rhodopsin, a protein which greatly enhances the ability to see in low light conditions and improves the adaptation to darkness. Finally, the fresh juice of cranberries has properties capable of improving diuresis. For many years, the people that are prone to infections and disorders related to the urinary tract, consume cranberry juice to prevent any risk. Finally, thanks to ongoing studies on the subject, the scientists were able to understand how the blueberry acts and what is its action to fight the infection. The discovery comes from the Worcester Polytechnic Institute, where a group of researchers has shown that cranberry juice can alter the thermodynamic properties of bacteria in the urinary tract creating a barrier that prevents the microorganisms to reach out to potential cellular targets. Practically, two types of bacteria were exposed to different concentrations of cranberry juice; even at low concentrations it is seen that the juice could modify some properties which have the function of indicating the ability of bacteria to bind to the cells. Without cranberry juice these values were negative, just to show that the attack on the cells would be somehow likely. On the contrary, thanks to the cranberry juice, the value is positive, making the probability of attack to the cells very unlikely. If you want to prepare an excellent home-based cranberry juice here is a very simple recipe, which is useful in cases of diarrhea and excellent supplement in liquid nutrients rather than substance. You need 100 grams of fresh blueberries, half a lemon and 1 teaspoon of honey. Wash the blueberries and then shake them by adding a little 'water if you want a more diluted juice. In the end, squeeze the lemon and pour the juice in the just shaken blueberries; sweetened with honey. According to studies conducted by scientists at Tufts Univerity, to implement and maintain an effective defense against bacteria, it is needed just half a glass of cranberry juice a day for a period of seven weeks. After this "cure", 73% of the patients examined in the study saw the symptoms of cystitis disappear. After discontinuing this treatment, 50% of patients saw reappear the infection within three weeks. Not only that. According to a study conducted at 'Laval University' in Quebec City, daily drinking cranberry juice would favor the formation of HDL, better known as "good cholesterol" that counteracts the action of "bad cholesterol" or LDL. Also according to this study, drinking 250 ml of cranberry juice a day increases by 7.6% the production of HDL resulting in a decrease of LDL. All this thanks to the flavonoids contained in cranberry that have an important role in the reduction of atherosclerotic plaques. Mix flour and butter, mixing well with your fingers until it forms large crumbs; add sugar, egg and water and re-mix everything until you get a sort of ball. Lay the dough on a floured surface and crush slightly with the palm of the hand. Cover with a cloth and let it stand for about an hour. Grease the cake pan, roll out the dough with a rolling pin until you get a disc just slightly larger than the pan (be careful not to pull it too); line the pan with the dough flattened and place in the refrigerator for about 30 minutes. After 30 minutes, arrange the blueberries on the pasta. Mix eggs, sugar, cream and flour and overthrow all about blueberries. Put the cake in a preheated oven at about 200 degrees for a period of 35 minutes. Consume cold. The appearance of the blueberry (Vaccinium Myrtillus) is the one of a little shrug, widespread in the wooded areas, a typical fruit of the underwood, usually 50 cm high, with oval and zig-zagged leaves, belonging to the family of Ericacee; the blueberry generally grows in the mountainous areas. molto buoni e di belle dimensioni.